3 Months to Publish a New Long-Form Piece | Writing & Book Coach | Marla Beck, M.F.A. Imagine, for a moment. Just 3 months have passed, and today it’s January 3, 2018. You are sitting at your writing desk, which is tidy and organized. 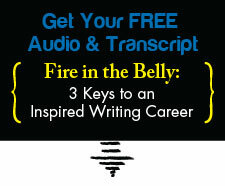 You are feeling good – more energized, on-point and happy with your writing career than you’ve felt in years. Why do you feel so amazing? The answer is sitting right there on the desk in front of you. Open up that folder. Look inside. What is it you’ve focused on and accomplished? What’s in that folder? ✓ Published a new long-form piece in a publication you respect? ✓ Submitted a few well-researched pitches on a consistent and reasonable schedule? ✓ Drafted a book proposal? ✓ Started writing consistently again? ✓ Stopped letting your writing business take over your creativity and your life? Feel how good it feels to have FINALLY accomplished that writing goal you’ve been struggling with for years. Feel how much better it feels to take charge of your career and go for projects you WANT vs. projects that get presented to you. Listen: if you’ve been aching to shift your writing career so you can see more of your OWN ideas in print, NOW is the time to take action. If you’re serious about achieving your writing goals, you’re going to have to learn to lead your writing efforts in a whole new way. You’ll need to overhaul your strategies. Create more writing time and structure. Most of all, you’ve got to find a way to allow yourself to simplify your goals and invest time, guts and focus so you can get your project DONE and cross it off your list, at last. And you need to do all this without sacrificing your income. Your relationships. Your sleep. If you don’t act now, you’ll risk hating yourself. Or getting sick, sabotaging your paid assignments or drowning out your original ideas under the weight of your resentments, jealousy, distraction or false beliefs that the kind of writing successes you crave just aren’t meant for you. You’re too smart and driven to allow yourself to waste another year. Now is the time to invest in your writing and get your goal accomplished. The good news is, taking charge of your writing career doesn’t have to be a drawn-out process. The fastest way I know to reach your writing goals is to work with me. Every day, I coach writers like you to set clear, compelling, big writing goals that will advance their careers. These writers achieve their targets in 8 weeks, 3 months or (for book-length projects) 12 months. They don’t struggle either, because they’ve learned to work quickly, efficiently, and with joy. Are you going to let the calendar flip to 2018 without achieving your own big and meaningful writing goal? I’m here to save you time, money and struggle. Contact me at https://coachmarla.com//contact to set up a time to talk about finishing your writing project or shifting your freelance career to a new, fulfilling direction. Your words will reach more people and your life will be the better for it. Next post: Freelance Writers: Lost Your Pitching Mojo?